UNIT 3 represents two fantastic and very different denim Mills, both of which are used by the likes of Acne, Calvin Klein, Zara, Top Shop, Nudie and The Gap. The Calik denim mill is in Malayta, Turkey and consistently sits in the worlds' Top Ten premium denim mills alongside the likes of Isko, Orta and Bossa. The range includes stretch and 100% cotton qualities, minimums are reasonable enough for the Australian market and sampling for most qualities are available. 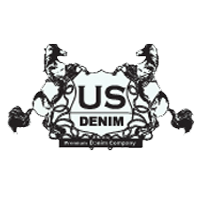 U.S Denim is based out of Pakistan. This is a great, versatile range with commercial price points for both stretch and 100% cotton qualities. Most importantly U.S Denim run a 'Perennial collection' of 12 fabrics that are constantly available with no minimums so quantity is always accessible.